We are proud to announce that our Cheerleaders of The Game for the October 20th Aztec win over the Spartans from San Jose State are Sarah Uribe & Jordyn Steinhilber! Sarah is a junior who is majoring in Studio Art and comes to our program from San Diego, CA. She is currently in her third season with SDSU Cheerleading. Jordyn is a senior who is majoring in Nutrition. 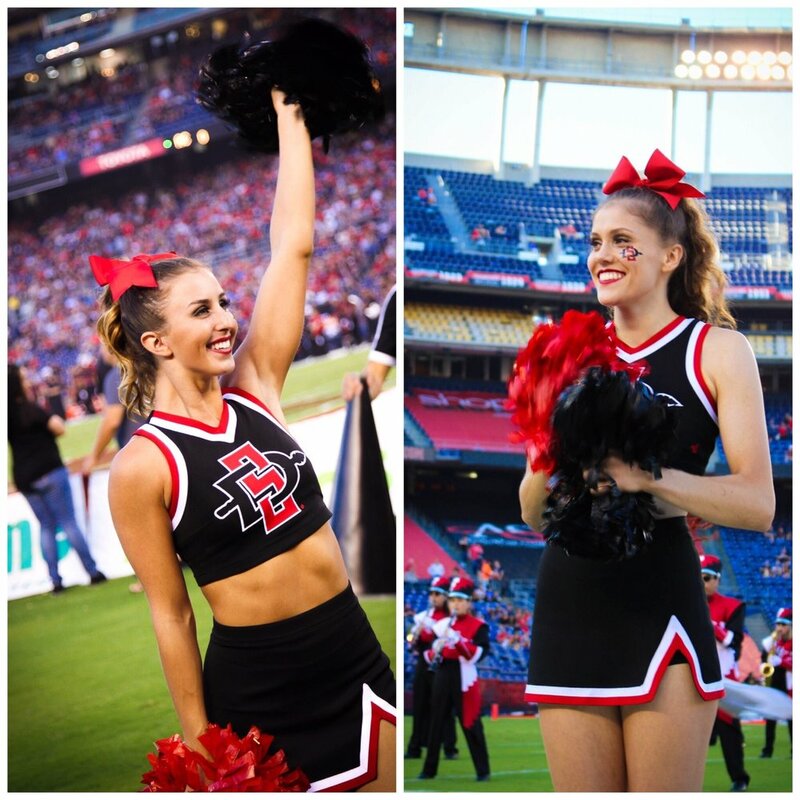 She comes to our program from Foothills Ranch, CA and is currently in her fourth season with SDSU Cheerleading. Congratulations to you ladies! You make us all proud to be Aztecs!